The Back-Roller from Ortlieb is a venerable design, beloved of hardy tourers because it lasts almost forever and is thoroughly resistant to just about anything your environment can throw at it, and the Back-Roller Urban continues in the same vein. 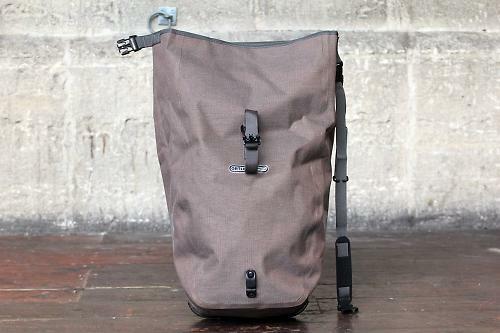 With an admirable attitude of not fixing what ain't broke, Ortlieb have left the design pretty much unchanged. You can get the Classic in various primary colours, and there are some jazzy 'Design' versions too, but for the business-minded commuter, the Urban uses the same PU-laminated Cordura that we saw in the excellent Commuter bag, giving a smart-looking finish that's a bit more discreet than yellow tarp. There aren't any other modifications to make it more suitable for commuters, though, so it's really just a touring bag in drag. 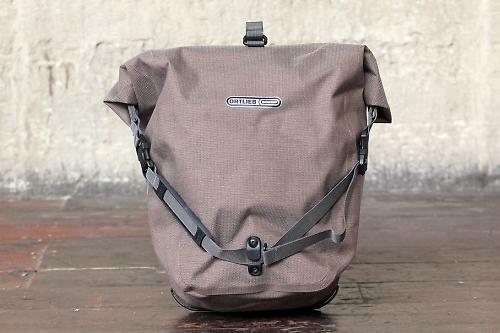 Construction quality is faultless, as we've come to expect from Ortlieb. There's a semi-rigid back – stiff enough to stop it flapping around, but lighter than a fully-rigid back. 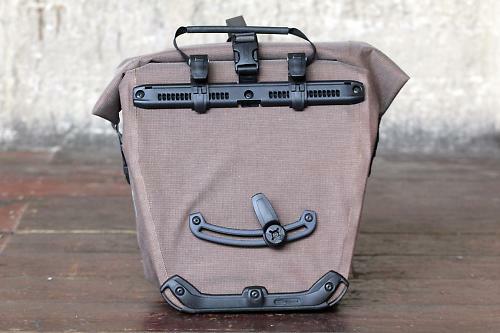 The QL2.1 mounting system is the only option on this pannier – it uses tough plastic hardware to hook onto the top of the rack, with a lower hook that can be positioned to suit the rack shape. Setting up the hooks is entirely tool-free and impressively simple to do, and unlike some tool-free pannier systems I've used, the hooks stay locked firmly in place once you've positioned them. Ortlieb supply shims for the top hooks to suit different rack tubing sizes, making the pannier suitable for tubing between 5mm and 16mm. The top hooks are connected via a handle which also releases the catches that lock onto the rack. The idea is that you just grab this handle and the pannier comes away easily, but I found that the catches were sometimes a little reluctant to release. You also need to be holding the pannier by this handle in order to be able to put it on the rack as the catches need to be held open. The Back-Roller has a roll top closure and high-frequency welded joins, and together they give utterly dependable waterproofing – I never had an issue in this regard, even in heavy downpours. 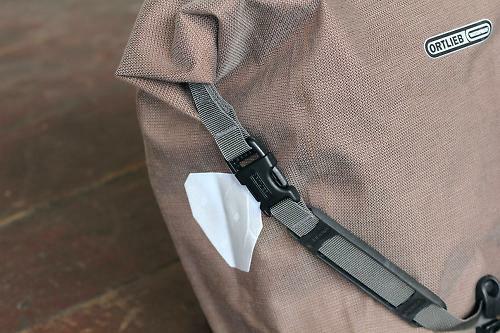 The roll top can clip to the shoulder strap, which is then secured with a clip to the bottom of the bag (as shown in the pictures). If you need a shoulder strap for off-bike use then this makes sense, but if not it's easier to clip the two ends of the roll top together and leave the strap at home. A further short strap keeps the roll top rolled up tight. Large reflective patches on each side are very welcome too. With a 20 litre capacity, the Back-Roller is comfortably big enough to swallow all that I ever need to take to work. Internal storage is fairly minimal – there's an open sleeve pocket and a zipped mesh pocket inside, both relatively slim. They're big enough to take some papers or maybe the means to sort a puncture, but you'd only fit a very slim laptop in there (vertically) and there's no padding to protect it. Ortlieb offer an optional padded laptop sleeve, but for commuting I'd want to see this included already. My commuting cargo is normally a change of clothes and my lunch, and that only half filled the Back-Roller – it seems somehow a lot roomier than the Commuter bag, even though they're both notionally the same 20-litre capacity. And this is my only real reservation about the Back-Roller design for commuting: when it's only half full it looks rather baggy and shapeless and you can't really cinch it up. For touring, it would normally be fairly full, so this isn't an issue, but whereas the Ortlieb Commuter bag looks really smart whether it's a quarter full or stuffed, the Back-Roller really only looks at its best when it's full right up, and that wasn't the case with what I needed to carry to work. The Commuter bag also has much better internal storage, with a padded laptop sleeve and a useful range of pockets. Mind you, it is double the price of the Back-Roller, so you're paying handsomely for these refinements (as well as for the clever QL3 system). The Back-Roller Urban is pretty reasonably priced given that you're getting Ortlieb quality, and the Cordura fabric gives it a suitably business vibe. If you're happy with the conventional pannier format for commuting and you don't need protection for a laptop then it's a decent option. Having used other more commuter-specific bike luggage, I'm of the opinion that this classic pannier design is brilliant for touring but translates a bit less well for going to work. I'm also rather taken with the Ortlieb QL3 system (as seen on the Commuter) and I'd opt for that over the QL2.1 used here. The Back-Roller isn't available with QL3 mounts. Perfect weather-proofing. I'd like to see more storage options to make it more commuter friendly; looks a bit saggy when half-filled. 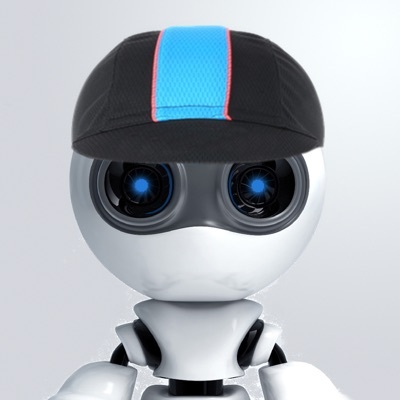 No issues during testing – Ortlieb stuff normally lasts for ages. Decent weight for its size. Reasonable price for the quality. It's a bit more than the classic tarp version but not too much more. For commuting it works reasonably well, keeping everything inside dry, but there's no laptop sleeve and the internal pockets are pretty limited, so it's really just a touring bag in drag. Spacious, very well made, fully waterproof. Really impressive tool-free setup of QL2.1 hooks – straightforward to do and it stays locked in place once done. I'd definitely use this for touring, but probably not for commuting. Limited storage options inside. QL2.1 system wasn't quite as easy to attach and detach from the rack as some I've used. No laptop sleeve. Looks a bit baggy when not full up. Did you enjoy using the product? Yes, although I'd be more likely to use it for touring than commuting. Would you consider buying the product? Probably not – I'd save a few ££ and buy the tarp version for touring. How does it attach to that bike? Levitation? Edit: Ah, I see from the rear view that there's a carrier on the bike. How's the carrier attached at the front? To the bridge between the seat stays via an artfully bent piece of stainless. It's visible in the main pic. Indeed. You have to get a rack separately, unless you have a bike with one built in. Search for 'pannier rack'. It's not specifically made for this bag. Ah, thanks. Thought that was one of the pannier's straps. On the subject of levitation... has anyone taken a look at Decathlon's new Bclip system? I spotted it on their website. No rack, just a support pole that clips across the seat and chain stays. The bags then slide onto the pole. It looks interesting, very minimal, but would be concerned about how stable and secure it is. On sale in a few days. Then type bclip into the search box for the range of bags (the stuff that's "bclip" not "b'clip"). That's really interesting - the bags aren't bad looking either, and all keenly priced. Wonder whether it would trash the paint on the stays. We'll have a word and see if we can get them in to try. No problem for testing. I will send you over some samples. What's quite cool as well is that all our vioo clip lights clip in neatly as well. The Urban is just a way of buying a single rather than a pair of std Back Roller PLUS (fabrics faced rather than shiny standard back roller) and in more 'urban' colours. Apart from that nothing different. You your are looking for smarter (more commuter friendly) system with say low profile attachment then Ortliebs own QL3 system especially if using with the matching Tubus ql3 rack. I have the Jamis Renegade and wondered if you could help me with how you mounted the racks, and the stability of them? I found when tightening the seat stay rack mount bolt that is hidden under the carbon bridge, the bolt would not tighten fully, it kept spinnning as if it was stripped (but wasnt). I applied no force when tightening the bolt, but didnt want to keep tightening as it may have stripepd the bolt. Would be great if I could have a chat with you about the Jamis Renegade and monunting racks/panniers - as mine did not feel sturdy at all!! Bit of a late reply, sorry. I buggered that exact eyelet on the test Jamis by using too long a bolt which bottomed out on the end of the blind hole and pulled the threaded insert out. Maybe that's what you did. From memory, I think I glued it back in place. On the off-chance that you see this and are still looking for a solution, you should take a look at Tailfin, which I'm testing at the moment. It's a neat and very effective (and expensive) solution to carrying stuff on a bike.